Every orphan needs a dad, so why not use Billy’s? 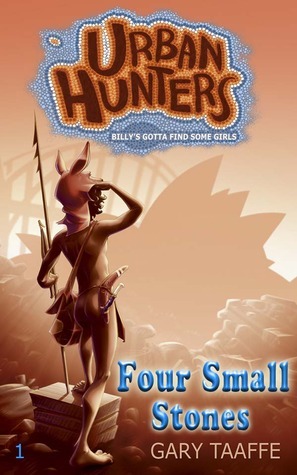 He’s in the bush somewhere, so Billy leads his new friends into the never–never to find him: nine young shoeless orphans, ten if you include Amber, plus four dogs and a baby kangaroo. What could possibly go wrong? How about a kidnapping? A spear–pointed stand–off with the police? Or what about a run–in with a dangerous gang? You might need oxygen for this one because it’s going to leave you breathless. E-grāmatas kopija no autora apmaiņā pret recenziju. Billiju un Amberu kopā ar bāreņu bariņu piemeklē piedzīvojumu pilnas dienas, kamēr viņi mēro ceļu pie Billija piederīgajiem. Abi jau sāk apjaust, ka bērnu acīs kļuvuši par paraugiem gluži kā vecāki. Brīdī, kad Billija ‘’plānās’’ cilts biedri to vismazāk gaida, viņu skaits bezmaz vai trīskāršojas, kas ir par pamatu kārtīgām svinībām un līksmei. Bet uz vietas palikt viņiem nav lemts! Un nu jau salīdzinoši stipri vien lielāko cilti sagaida patīkams pārsteigums no Turbo, Dīzeļa un sieviešu baikeru kluba. Var vien atklāt, ka tik daudz acu pāru uz viņu pusi nekad nav tikuši vērsti. Tagad, ceļojuma beigās, tuvāk pilsētai un mūsdienu pasaulei, cilti noteikti sagaida raibu raibas dienas. viena no tām sērijām, kuru droši var ieteikt un ar lielu nepacietību atliek gaidīt turpinājumu. Billy and Amber together with bunch of kids that are orphans stricken with days full of adventure, while travelling to Billy’s tribe. Both of them are realizing that in the eyes of kids they are becoming parent like figures. In the moment when the small tribe expects it the least their count is almost tripled in an instant and it’s a very good reason for celebration and joy. But it’s not meant for them to stay put! And now the much bigger tribe is pleasantly surprised by their friends Turbo and Diesel with the help from women biker club. All I’m willing to say that so many pair of eyes hasn’t looked at them. Now at the end of the short trip being closer to the city it’s for sure that there will be many days filled with fun adventures for the tribe. This is one of the series that can be surely recommended and that I’m going to eagerly wait to find out what’s happening next. It was all so perfect, until the dark side of life paid Amber a visit. Now all she’s got is a bloodied pair of pink pyjamas and a cardboard box down a rat–infested alley. Amber comes face to face with a cruel murderer in the bush. She must decide — kill him now or later? And remain a victim at the hands of her mother, or fight for a life of her own? 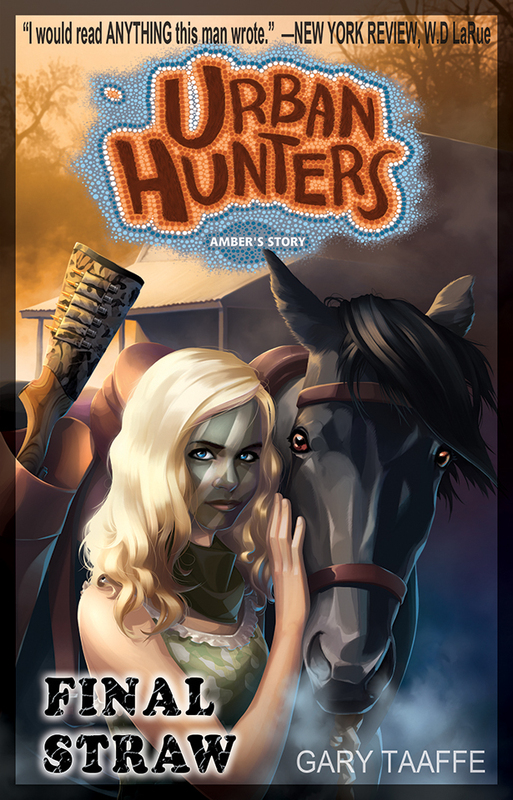 URBAN HUNTERS is storytelling at its best. Unlike anything you’ve ever read, in typical Taaffe fashion. Always surprising. Wonderful! Ja Bowels of Hell mums pastāsta pavisam nedaudz par Amberu, tad Final Straw ir pilnībā par viņu. Pirmajās nodaļās viņai vien seši gadi, bet jau tad tēva Džima uzraudzībā darbojas pie smēdes. Ieraugām Amberu pavisam citā gaismā un daudz prasmīgāku kā varētu noprast no iepriekšējām daļām un viņas saskarsmes ar Billiju. Esam jau izbaudījuši Amberas cīņas prasmes, kā arī viņa ne reizi vien sevi pierādījusi kā labu mednieci, kam jāpateicas Džima interesei par vrestlingu un medībām. Diemžēl viss nevar būt tik rožaini, un, kad Amberai ir 12 gadi, Džims tiek no armijas rezervēm tiek iesaukts dienestā. Šāds pavērsiens šokē gan Amberu, gan viņas māti Narelli, kura līdz tam vismaz visus stāstā esošos gadus noturējās nedzērusi, bet tagad no jauna atgriežas pie alkohola. Ambera ir spiesta uzņemties savam vecumam neraksturīgi lielu atbildību, bet viņas raksturs nemaz neatļauj rīkoties citādāk. Bet ar to grūtības Amberai nemazinās, un dzīve dod jaunus triecienus. Ja sākumā biju skeptisks par šāda stāsta nepieciešamību, tad izlasot visa skepse pazudusi pilnībā. If Bowels of Hell tells us just a little about Amber then Final Straw is completely about her. In the first chapters she’s only six years old but even then her dad Jim in his supervision allows her to do few things at the forge. We get a sight of Amber in a different light, much more skillful than you might think from previous books and her interaction with Billy. We have already witnessed her fighting skills and also how good she can be at hunting. That’s thanks to her dad’s interest in wrestling and hunting. Unfortunately it can’t go on to be that good for too long and when Amber is twelve Jim is called in the army from reserves. Such news is a shock not only to Amber but also to her mother Narelle who managed to stay from bottle all these years during the story at least, but know she relapses. Amber is forced to grow up and take uncharacteristic responsibilities for her age but her temper wouldn’t let her to do anything differently. Sadly, but difficulties for Amber doesn’t with that and life gives her new blows. If at the beginning I was skeptic about the need of such backstory, but after I have read there is no doubt left. Entombed and doomed to digestion down the bowels of hell itself, Billy and Amber must escape or die. The orphans, abandoned again, must set aside their differences and put into practice what Billy has taught them. Or starve. And is the honeymoon over already? Can the Bullies save their relationship with Mel? Aizlavījušies divatā prom no nometnes, kamēr citi guļ, Billijs un Ambera nonāk neapskaužamā un pat dzīvībai bīstamā situācijā, burtiski vai ellē (vismaz smaka uz to pusi). Par laimi, atrisinājums ir pozitīvs. Turpinās ikdienas rosība bāreņu apmetnē, un Billijs ar Amberu turpina viņiem visvisādi palīdzēt. Kas patika, ka septītais sērijas stāsts atgriež vairāk jautrības nekā iepriekšējos divos. Šoreiz uzzinām nedaudz par Amberu pirms viņas sastapšanās ar Billiju, bet tikai nedaudz. Noslēgums apstiprināja manu lielāko prognozi attiecība uz bērniem, Billiju un Amberu. After sneaking away from the camp while others sleep, Amber and Billy get themselves in a really tight and life threatening spot, literally bowels of hell (at least the smell might be). Luckily everything ends well. At camp continues daily activities, and Billy together with Amber are still helping them to learn what’s around them. What I liked that in this story has a bit of that humour as in the first books. This time we learn a little about Amber before she met Billy, but only a little. The ending confirmed my biggest prognosis regarding kids, Billy and Amber. Billy and Amber must save Larry from the dog catcher, with a shocking twist for Billy. A pursuit leads them into a creepy, rundown orphanage where they find themselves under attack by a savage pack. They fight to save the lives of many only to fall victim down the bowels of hell itself. Kā jau aprakstā minēts Ambera un Billijs knapi izglābj Lariju no suņu ķērājas, kam seko abu pakaļdzīšanās visiem trim suņiem. Noskrietais gabals kopā šķiet vismaz vairāki kilometri, un tāds skrējiens aizved viņus pilsētas nomalē. Tur piecinieks sastop bāreņu bērnu bariņu(kopumā deviņi), un Billija un Amberas uzrašanās šiem bērniem nāk kā dzīvības glābiņš. Nedaudz esmu pārsteigts, ka neviens no bērniem, par spīti dabā esošajam, neatpazina vismaz kaut ko no dabā esamā, un aiz bailēm saindēties iztikuši no kukaiņiem. Tā nu Ambera un īpaši Billijs ņem gādību pār bērniem, un pie viena arī apmācot, lai viņi spētu iztikt arī paši. As the synopsis mentions Amber and Billy barely saves Larry from the dog catcher. This event is followed by a chase after all three dogs. The distance is surely few kilometers and such a run leads them outside of the city. There they discover a bunch of orphan kids (overall nine) and the appearance of Billy and Amber is like a life saver for them. I’m a bit surprised as none of the kids didn’t recognize that there a plenty to eat and fearing that they would get poisoned ate just cockroaches and other insects. So Amber and Bill takes care of them but also teaching them how to survive. The son of the mongrel old man who Billy speared wants revenge. Billy could lose the pups. A bloody battle ensues but Diesel doesn’t count on Amber; or Larry, Curly and Moe for that matter. Billy leaves Turbo and Amber gobsmacked with a lesson in respect for Diesel. 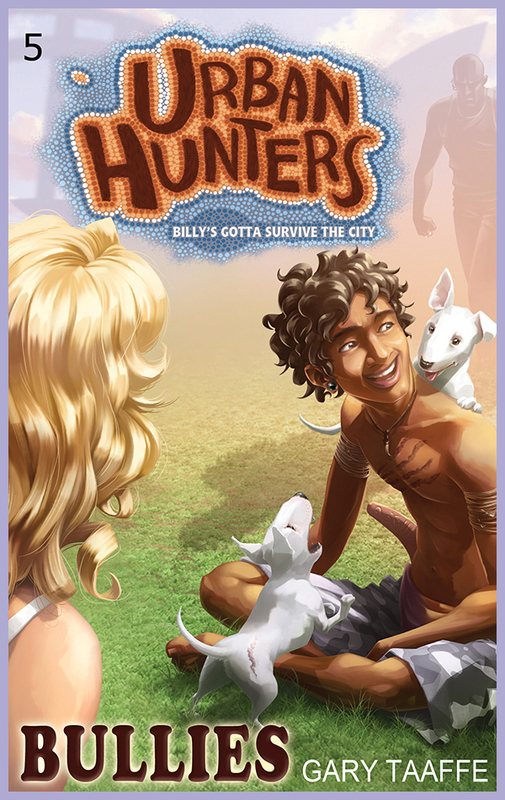 And with a little help from a hobo, Amber shows Billy how street kids hunt pigeons for brunch. Piektajā Urban Hunters sērijas grāmatā Billijam kopā ar Amberu, kā arī izglābtajiem kucēniem jauni piedzīvojumi. Pēc saprašanas, kas ir telefons un pirmā zvana draugam Turbo, Billijam jāaizstāvas no Turbo drauga, muskuļkalna Dīzela, kurš pārpratis ar kucēniem notikušo. Uz momentu notikumi priekš šīs humoristiskās un viegla rakstura sērijas kļūst visai asiņaini un grafiski, bet kā jau pienākas pārpratums noskaidrojas, visi var pasmaidīt un būt draugi. Nedaudz paskaidrojoši arī par suņu nonākšanu izgāztuvē pirms Billijs viņus izglābj. 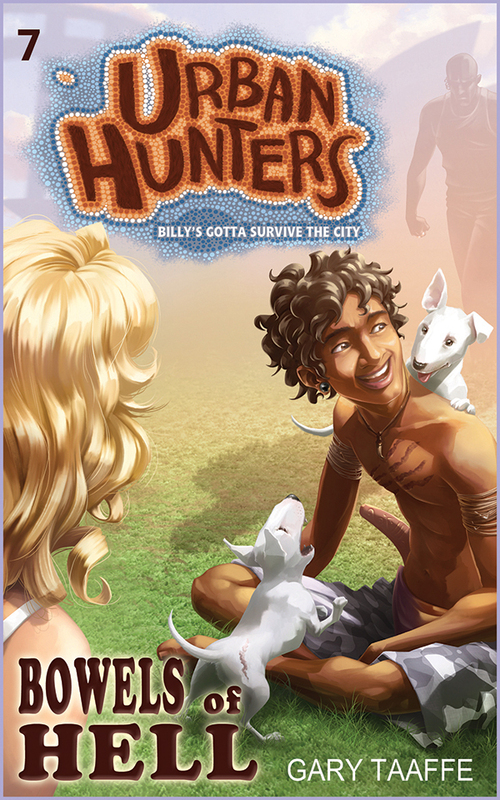 In the fifth Urban Hunters series book there are new adventures for Billy, Amber and the three saved puppies. After getting to know what is phone and making his first call ever to his friend Turbo, Billy has to defend himself from Turbo’s muscle mountain friend Diesel who misunderstood what had happened with the puppies. For a moment it gets quite graphic for such a humoristic series but as it should be the misunderstanding is resolved and everyone can smile and be friends. Some explanation about how and why Larry, Moe and Curly (puppies) got to the dump before Billy saved them. He was of the firm opinion that the safest way to walk amongst the whitefellas was to do it unseen, to blend in, to not be noticed at all. He told Billy that he stood the best chance of survival if he spoke proper English with, ‘’Don’t shoot!’’ being a phrase of particular importance. Billy hunts street meat for his first ever dinner date, much to Amber’s dismay. A cranky council worker named Norm, wants them out of his park, but he also wants his park rid of feral cats. Billy makes a weapon for Amber with mixed results and the drunken burp of a hobo sends her crashing back into the life she just escaped. Billy has no clue what to do with an upset Amber but he does try. His bare bum needs to be kept in check so Amber comes up with a gift. And Larry, Curly and Moe make a meal of a dying man, saving his life and making him giggle. Norm is traumatised to find Billy and Amber gone. Varam vērot Amberas (atrasta trešās grāmatas beigās) un Billija attiecību sākumu. Ja Ambera var iepazīstināt Billiju, piemēram, ar to, kas tā tāda duša ir, un priecāties par viņa reakcijām. Tad Billijs pielieto savas mednieka zināšanas, lai abiem pietiktu ēdamā. Jāpiebilst, ka gaļa nav tā tradicionālākā, un nepieciešama pārliecināšana, lai Ambera to nogaršotu, palīdz arī izsalkums. Klāt nāk jauns tēls Normans, parka uzraugs, kurš pret abiem attiecas draudzīgi. Suņi jau jūtas drošāk un atrāda sevi vien noslēdzošajās nodaļās; būtu paticis bik vairāk. 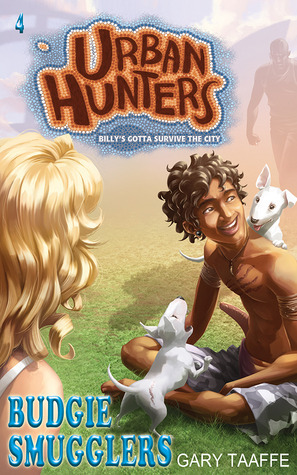 In the fourth Urban Hunters series book we can observe the beginning of Billy’s and Amber’s (which he found at the end of third book) relationship start. If Amber can show to Billy for example what kind of thing the shower is. But Billy can use his hunting skills so they don’t need to worry about food. I should add that the meat isn’t of the traditional ones, and Billy needs some convincing so that Amber would taste it, hunger also helps. A new character is added – Norman – who is friendly towards both of them. It seems that dogs are feeling more confident as they show themselves only in the last chapters; would have liked a bit more. Billy leaves his family and the bush for the first time ever, but wolf-whistles and abuse leave him confused about the appeal of his bare bum. A friendly trucker named Turbo, teaches him that he won’t pick up any girls wearing a bright red sundress. And he nearly runs back home after a gruesome discovery in a barrel at the tip. He calls upon his ancestors for help with shocking results, and he’s forced to fight off a mongrel old man in a violent confrontation. A darkened alley full of rats in the city reveals a beautiful girl. Amber’s pyjamas are covered in mud and blood and she’s stained in tears, and Billy falls in love. Billija piedzīvojumi plašajā pasaulē ārpus pazīstamās teritorijas, gan prieku nesoši, gan arī ar asarām esoši. Pāris komisku situāciju rodas, kamēr kāds Billijam paskaidro, ka vajadzīgas bikses un nepietiek tikai ar apsēju~, kas nosedz priekšpusi. : ) Šis tēls nav vienīgais ar pretimnākošu attieksmi, bet netrūkst arī tādu, kas izsmej. Billijs nokļūst pilsētā, turklāt ne kurā katrā, bet pašā Sidnejā. Tur viņš no drošas nāves izglābj trīs kucēnus, kuri vairs neuzdrošinās palikt pārāk tālu no sava varoņa. Kā viens no pašiem galvenākajiem uzdevumiem, dodoties ceļojumā, Billijs no ciltsbrāļiem saņēma uzdevumu atrast ciemam meitenes/sievas (vēlams daudzskaitlīgi), jo ciltī palikuši vien vīrieši. Tā arī noslēdzas trešā Urban Hunters grāmata, kad Billijs neparastā veidā šķērsielā sastop vienu tādu radību. Billy’s adventures in the big wide world outside his known territory, there both happy, cheerful moments and sad moments. Few comical scenes emerge until someone explains to Billy that he should wear pants and it’s not enough with covered front. That and other characters are forthcoming and helpful but there also plenty of those that laugh at the boy. 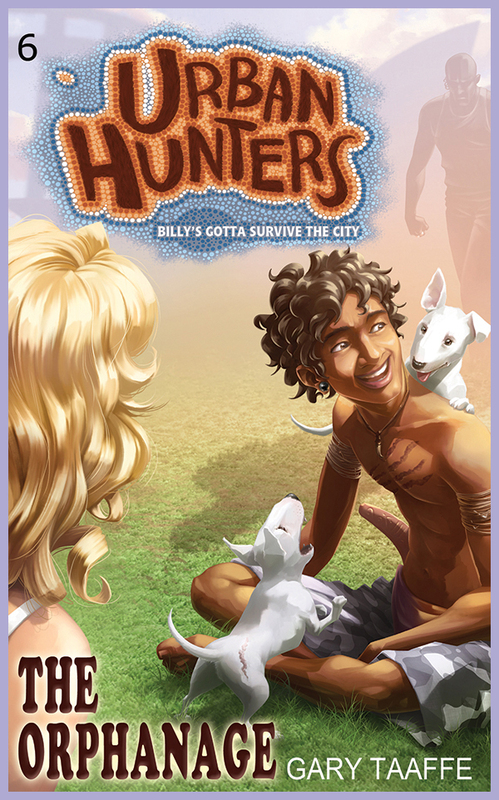 Billy finds his way to a city and not just any city but Sidney itself. There he saves three puppies from definite death, which after that don’t stay far away from their hero. As one of the main tasks for Billy during his walkabout from his tribe was to find and bring home girls/women because only men are left in the tribe. And that’s how the third book in Urban Hunters series ends as Billy finds one of these creatures in a very unusual way.